The AmeriCorps New Jersey Watershed Ambassadors Program is now in its 17th year and promotes watershed stewardship through education, direct community involvement and monitoring of stream health through visual and biological assessments. This week is AmeriCorps week and it is a time when individuals, programs and organizations honor and celebrate the contributions that the AmeriCorps volunteers make to their communities. 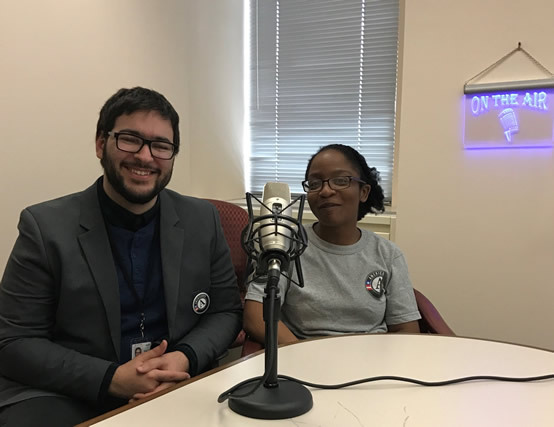 In honor of AmeriCorps week, Ismail Sukkar and Alexis Bowman join Bob Bostock to talk to about their experience so far as Watershed Ambassadors and the projects that they are currently working on.